Today my MovieMaker magazine arrived from the states, an indie film rag that I subscribe to. Flicking through it, I noticed there was a roundup of film festivals, and saw that the Sedona Film Festival was included. 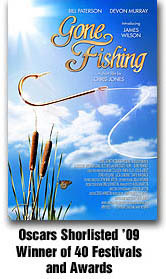 You may know that we attended the Sedona Film Festival this year with Gone Fishing and it was a stand out event which we video blogged – you can see the original video and post here. I was even more surprised when I read the article… Here’s how it started! The article goes on to speak at length about the extraordinary experience that the SIFF manages to deliver. Something I agree with completely. If you have made a film and get a chance, submit to SIFF and if you do get in, you won’t be disappointed. This months Moviescope magazine is carrying a feature that I wrote about Gone Fishing and what I have learned on the journey. You can buy it in print, or you can sign up for the free digital edition and get access to it online. It was quite a hard feature to write as I had to keep it under 1,500 words – and I had sooooo much to say on the subject. We have just received our first press, from the local newspaper in my home town of Wigan. You can read the article here. The great thing about local press is that they always paint you in a good light, and also give you lots of space. This kind of grass roots coverage is always good as it actually has immense penetration, reaching hundreds of thousands of people – and it’s FREE! We all think of the internet as being the mutts nuts when it comes to PR, but the old methods still reach a huge volume of people in a very credible way. Of course, local press usually goes for the ‘local lad does good’ angle. And that’s something I play to when I do this kind of PR, keeping it human and real. Local radio is another really good one too. 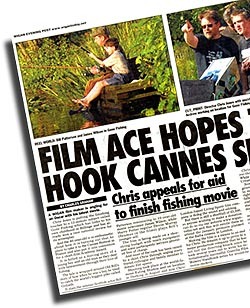 The other thing that is gratifying, is that journalists download hi res images, with clear text descriptions from the website, and days later, they appear, verbatim, in their paper – you can see the Gone Fishing pictures page here. I think the internet has now really reached a point where it’s near impossible to stand out as we tend to blank everything now – everything is one click away from being thought of as some kind of spam. 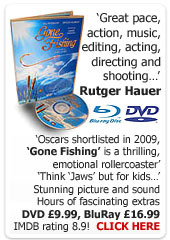 This feature also generated cash too as several new contributors got involved and contributed to ‘Gone Fishing’. Now that the three part Total Film Articles, written by team Living Spirit, are no longer on the shelves, we have uploaded the whole lot to our website. 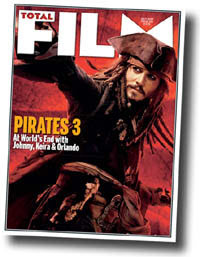 How To Make A Film Part 3 in Total Film-OUT NOW! The third and final part of Team Living Spirit’s series on how to make a film is out now and deals with the post production process, from editing and sound to getting a deal, going to film festivals and even self distribution. We hope you have enjoyed this three part guide to just getting on with it and making that movie. As last months is no longer on the shelves, you can download all of last months here. Everything is negotiable To a film producer, every penny spent is a penny that could be potentially saved. This single lesson could transform your life and open up a new world of discounts, but it will take you getting out of your comfort zone. Here it is. Never pay the asking price. Never. Most of us wander through life paying the price that is on the tag, not even aware that we could barter. Maybe it’s the English reserve, but we just don’t like the confrontation. But, if you just try, you can save a huge amount of money and once you get good at it, you will never pay full price again. So next time you need to buy something, you’re going to ask for a discount. Not at the market where you have a good reason to haggle, but in a retail store where people don’t ordinarily haggle. It might take ten attempts, with ten different strategies, but you will get there. You will need balls, charm and persistence to pull this off. Smile, ask sweetly, tell them this is all you can afford, you need them to help make this happen, you are making a movie, do they want to come to the premiere? Avoid closing the conversation until you have what you want. So try not to get to an ultimatum. And if you do get a ‘No’, keep going past the ‘No’ until you get a ‘Yes’. We understand how insane this sounds, but ask yourself how do ugly men pickup beautiful women? They just don’t accept the no, and ask more women than most of us would in a lifetime. Balls. Charm. Persistence. 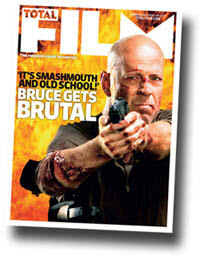 How To Make A Film Part 2 in Total Film - OUT NOW! So I have come back from a brief break to find, at the airport, part two of team Living Spirit’s How To Make A Movie in Total Film Magazine. This one deals with the actual making of the movie, where the last was about the concept and script. You can download the first couple of pages here. Total Film School! Three Part Feature, Part 1! 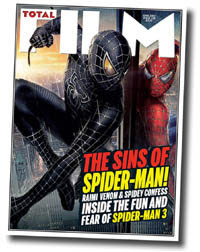 The first part of our three part ‘How To Make A Movie Feature’ for UK Film Mag TOTAL FILM is now out. A full eight pages of starter tips from Team Living Spirit! Most people don’t think beyond the movie they’re making right now be it a short film exercise, experimental music promo, viral email attachment or independent feature film. That’s the big reason why, for most filmmakers, it takes so long to get anywhere: they don’t have a goal and a plan of how to get there. Contrast that with Christopher Nolan. He went from a 3K black-and-white avant-garde thriller called Following, to Memento for $10m and ultimately onto Batman Begins with a blockbuster budget, all in under 10 years. He never began a film without knowing what he wanted to do next and was already working on that project. You can also download the first few pages from our site here, or you could go buy the magazine! 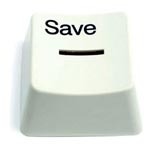 To a film producer, every penny spent is a penny that could potentially be saved. This single lesson could transform your life and open up a new world of discounts, but it will take you getting out of your comfort zone. Here it is. Never pay the asking price. Never. Most of us wander through life paying the price that is on the tag, not even aware that we could barter. Maybe it’s the English reserve, the dislike of confrontation. But, if you just try, you can save a huge amount of money and once you get good at it, you will never pay full price again. I understand how insane this sounds, but ask yourself how do ugly men pickup beautiful women? They just don’t accept the ‘no’, and ask more women than most of us would in a lifetime. Balls. Charm. Persistence.